A stunning novel of friendship, guilt, and madness: two friends, torn apart by a terrible secret, and the dark adventure that neither of them could have ever conceived. It’s been ten years since the “incident,” and Adam has long since decided he’s better off without his former best friend, Thomas. Adam is working as a tutor, sleeping with the mother of a student, spending lonely nights looking up his ex-girlfriend on Facebook, and pretending that he has some more meaningful plan for an adult life. But when he receives an email from Thomas’s mother begging for his help, he finds himself drawn back into his old friend’s world, and into the past he’s tried so desperately to forget. As Adam embarks upon a magnificently strange and unlikely journey, Ben Dolnick unspools a tale of spiritual reckoning, of search and escape, of longing and reaching for redemption—a tale of near hallucinatory power. This novel is just chock full of all my favorite literary subjects: pain, guilt, truth, redemption. The hook is that Adam and Thomas, who had been best friends in school, are changed by an event. This event causes Adam to retreat from Thomas for ten years, until he is pulled back into Thomas's life by a plea from his parents. Please help our son. I didn't know where the story of Adam and Thomas was going to take me, but the journey was riveting. 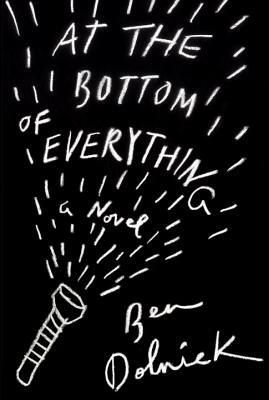 At the Bottom of Everything is a short novel, but it crosses many an emotional landscape. If you wonder how people can live with a terrible knowledge and what that knowledge does to their everyday life; and at what cost come redemption (if it's even possible) then give Ben Dolnick's novel a try.